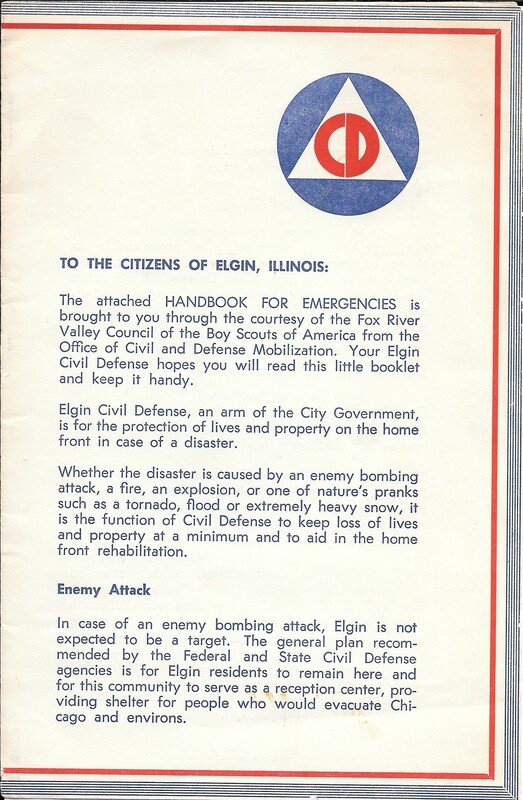 This is a booklet that reassures the citizens of Elgin, Illinois that they will not be the target of direct nuclear attack but they will be a reception center for evacuees from Chicago. It further explains the resources the Elgin Civil Defense has ready at their disposal. Although this is not dated, the mention of the Office of Civil and Defense Mobilization helps date this somewhere between 1958-1961.